“Small class sizes and being able to have a close one-on-one relationship with professors.” Kristy Vigilante- Senior, William Patterson University. “My school’s size. It’s small enough to be able to form amazing friendships and a tight community.” Robyn Jirouschek- Sophmore, Iona College. “Always having great coffee! Super important for early morning and late night classes.” Melissa Crosta- Junior, Monmouth University. “THON. It's our 46 hour dance marathon that raises money for pediatric cancer and the Four Diamonds Foundation.” Danielle Kirchner- Sophmore, Pennsylvania State University. “My sorority, Alpha Sigma Alpha, because of the friendships and connections I have gained since my freshman year.” Rosa Graziadei- Junior, Bloomsburg University. “The creative and networking opportunities.” Ray Walsh- Freshman, Full Sail University. “Non-judgmental people.” Colin Barner- Senior, Kutztown University. "The beautiful buildings on campus.” Danielle Sgalardi- Senior, Fordham University. “The small class sizes and how teachers know my name.” Liz Fredas- Senior, Ramapo College. “No matter what your style, interests, or hobbies are- there is always something for you to do going to school in Philadelphia. Jessica Durkin- Senior, Temple University. “My co-op program. It's just one of the many ways my school makes an effort to keep college relevant and useful in the real world.” Emily Tebbetts- Senior, Northeastern University. “The food. There is a great selection of vegetarian, vegan as well as multicultural cuisine and a lot is locally soured from farms down the road.” Natalie Di Francesco- Senior, UMass Amherst. “Students are from literally all over and are so creative. You get a sense of culture through their work.” Alyssa Porchetta- Senior, Pratt Institute. “There are no physical boundaries between my campus and the city of Boston. It gives students more of a sense of responsibility than living in a traditional gated campus.” Olga Khvan- Junior, Boston University. “The friendly community on campus.” Shannon Connelly- Senior, The University of Scranton. “The social scene. You can find something to do no matter what degree of partying you enjoy.” Ian Mackenzie- Junior, The University of Delaware. “No classes on Fridays –EVER.” Amanda Mosner- Senior, Barnard College. “My college is open minded and will not turn their back on any student who has a drive for learning.” Alex Caggiano- Freshman, Curry College. 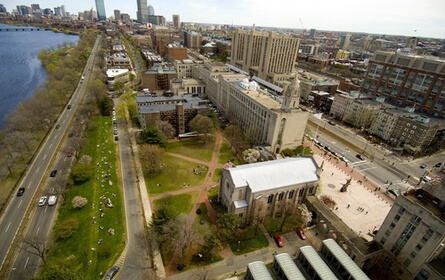 “The benefits of city life and a traditional college environment. It's a wonderful balance and keeps me from becoming overwhelmed with the rustle and bustle of the city.” Melissa Quarto- Freshman, University of Pittsburgh. “Everyone really cares about each other and the school. There is a great sense of pride. Sara Connery- Junior, Marist College. “The lifelong friendships I’ve developed since being here. It’s a true testament to the strong sense of community my school fosters.” Jennifer Sgalardi- Junior, Boston College. 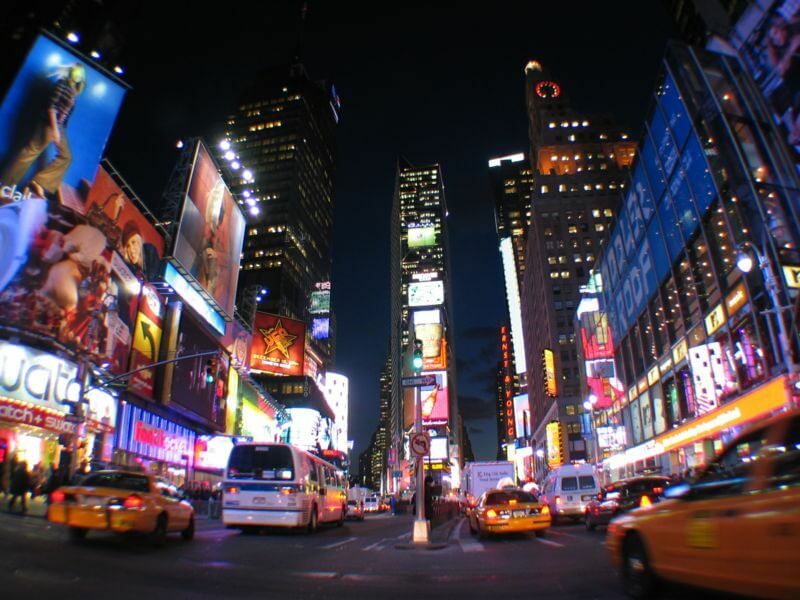 “Being in the greatest city on Earth, New York City. Being a student in NYC puts you in your place early, but then goes on to push and inspire you.” Daniel Zavaro- Senior, New York University. "The size of my university. I meet new people every day and it keeps things interesting." Meredith Ambinder- Junior, University of Michigan. “My tennis team. The social part is just like a sorority but I don’t have to pay for it.” Tara Criscuolo- Junior, The College of New Jersey. “I'm exposed to so much more than I was in the town I grew up in. I feel such a sense of being accepted for who I am at my school.” Bridget Gallagher- Junior, American University. “There are so many different types of people. All my friends are from different backgrounds and it's interesting to learn about where people have come from.” Katie Begley- Senior, Montclair State University. “My university has a big beautiful campus, yet I can still bike to the Capitol in 15 minutes and be in the heart of DC. I feel very lucky to have the best of both worlds.” Grace Hanley- Senior, The Catholic University of America. “On the weekends our whole school gathers outside the bars, it's like an outdoor club where you’re guaranteed to see everyone.” Jordyn Zucker- Senior, Binghamton University. “How diverse the students are. It’s great that even though we're so different we all come together as a community for joyful occasions-like this year’s football season and also on tragedy.” Leena Meola- Senior, Rutgers University.